The best players in baseball usually do one or two things really well – they might hit for average (Tony Gynn), hit for power (Reggie Jackson), have a great fastball (Nolan Ryan), or are a great fielder (Ozzie Smith). They stand out in an obvious way from the players who surround them. Those who are decent at a lot of different things – hitting, baserunning, defense – but not great at any are usually utility men, which is a great gig if you can get it, but won’t exactly put you on the fast track to Cooperstown. But what if someone was really, really good at everything? He’s not necessarily great at any one aspect of the game, but he’s much better than average at everything – how do we rate him? With apologies to Julia Andrews, how do you solve a problem like Ben Zobrist? These stats show somone that most teams wouldn’t mind having on their tream. Yet I would claim he is one of the best players in the Majors over the past 7 years. We have to look beyond his traditional hitting stats to his all-around play. For that, we need WAR, of course. (WAR – what is it good for? Exactly this). From 2006-2015, he has accumulated 36.8 WAR. That ranks him 18th in all of baseball during that time. If you take out his first two years, when he posted a negative WAR in 83 games played, he ranks 6th, behind Miguel Cabrera, Joey Votto, Evan Longoria, Andrew McCutchen, and Adrian Beltre. This is lofty company, but I would wager the average fan would not put him near that company. Why is there such a discrepency between his traditional hitting stats and his WAR? 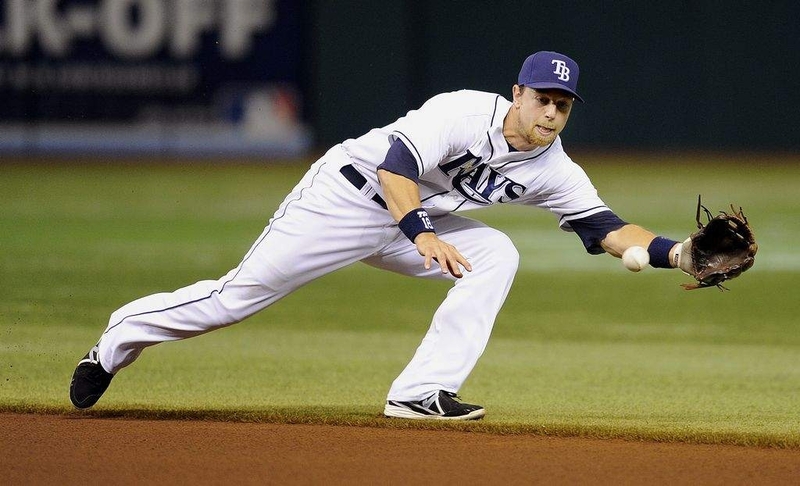 Zobrist’s value comes from the fact that he is truly an all-around player. He might not be great at any one thing, but he is also bad at nothing. His hitting, baserunning, and defense have all been above average throughout his career. Other than 1B and 3B, Zobrist has played significant innings at every non-battery position – his versitility is simply amazing. But this versitility is a reason why Zobrist isn’t mentioned in the same breadth as Cabrera, McCutchen, or Beltre. When the average fan thinks of a “utility player” they think of someone at the end of the bench who isn’t good enough to crack the starting lineup, but is a useful backup (my prototype is Luis Quinones, who played all four infield positions for the 1990 World Champion Reds). But Zobrist could be the starter at a number of positions – at least at 2B, SS, RF, and LF – for most MLB teams. It took an innovative manager – Joe Maddon – to realize that he could use Zobrist in a non-traditional way to maximize his contribution to the team. This versitility is also why Zobrist is probably my favorite player right now. I love a player who does everything well – defense, baserunning, hitting. Of course, it also doesn’t hurt that he also seems to be a geniune good guy with a great attitude. Ben Zobrist is a clear case of someone whose total package is greater than the sum of his parts, and I’m happy that he will be reunited with Maddon in Chicago. Although he is in the decline part of his career (he’s 34 and last year wasn’t a great one for him), I’m hoping he can still produce in his all-around way for a few more years.